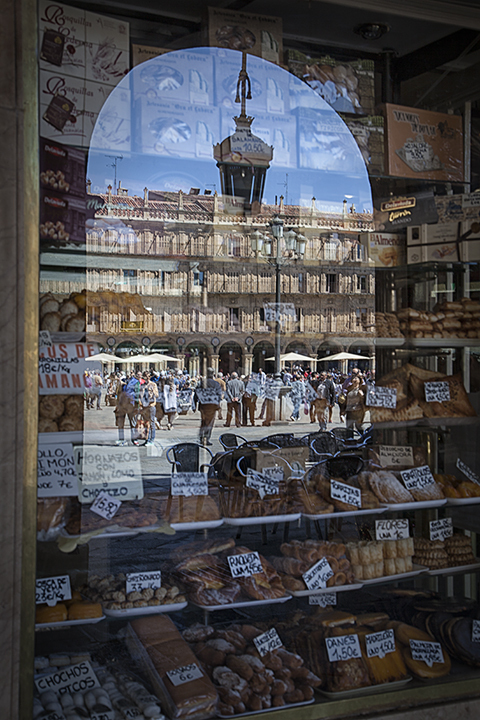 Plaza Mayor, Salamanca Spain, a hub of activity in the centre of town. 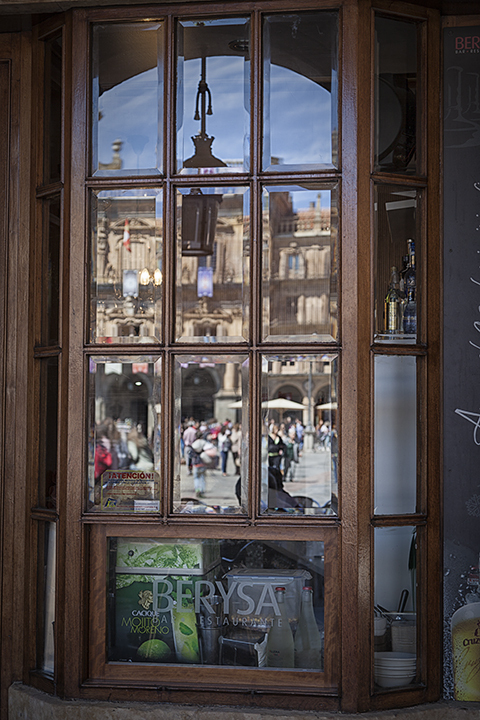 We arrived in Salamanca just prior to Holy Week, along with a lot of other tourists and travellers. 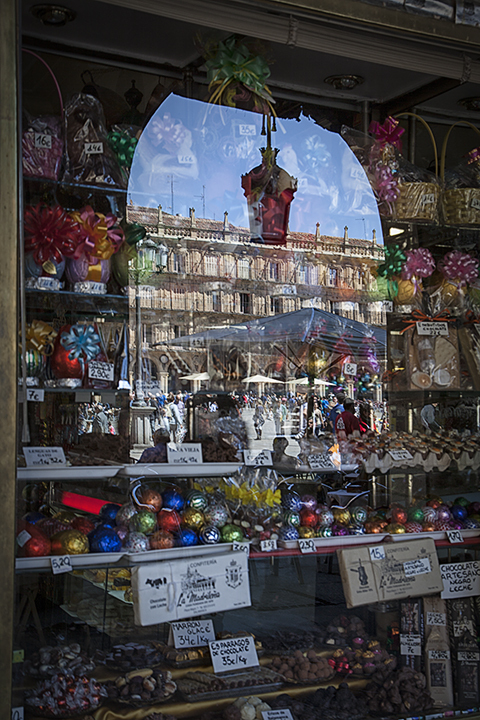 The squares, markets and streets are busy. 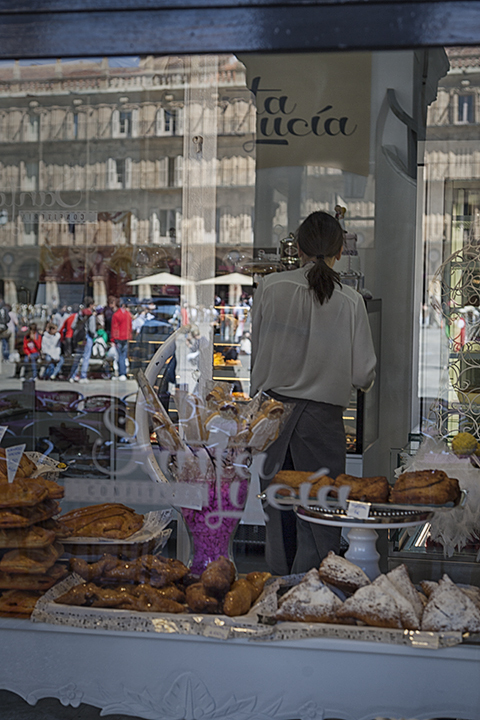 The shop windows are lined with goods for sale and reflect the patio umbrellas, tables and people visiting the square. 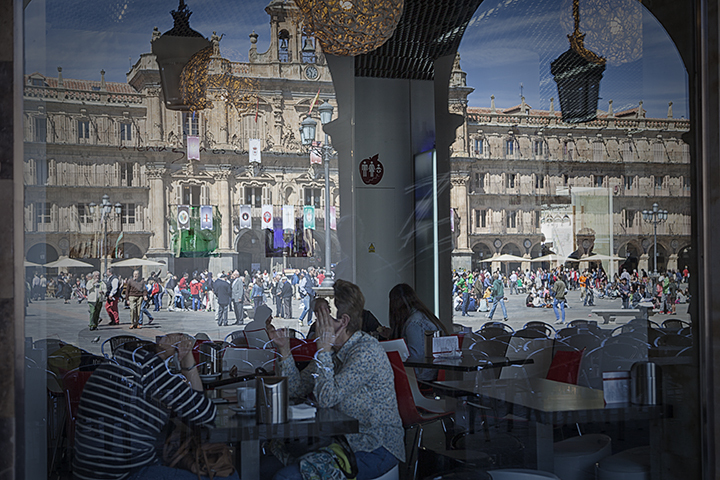 While each of the images are “busy” and may even look chaotic to some, they represent the activity in Plaza Mayor and the city of Salamanca these days. 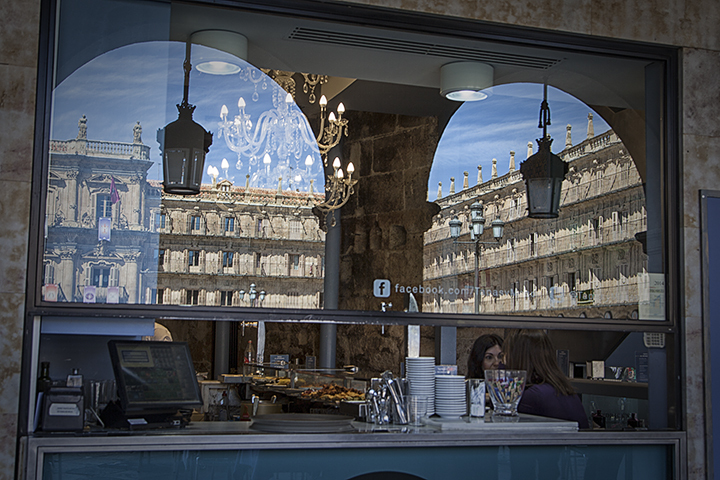 What an amazing way to represent Salamanca, Spain!